year's end is coming and we have great plans for 2015. I wish you luck, health, peace and all the best for 2015! 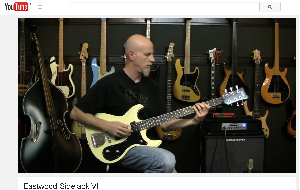 Kevin Salt / Niederlande and Sascha Rodrigues / Germany did a update for theire webseites. 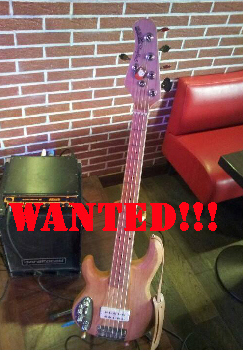 Who wants to be part of the Lefty Bassplayers List send me his bio and a picture. ich hab zwei Filme auf youtube elektriktomik musiktechnik gestellt . und eine neue Variante von mir , die auch für alle Bässe mit zwei PUs gehen würde. 6 versch. Sounds und zwei Lautstärken. Intuitiv bedienbar. My friend Thomas present a new kind of Violin-Electronic! 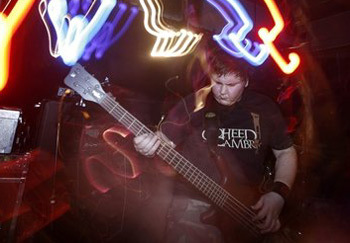 Thomas is my 1. man for bass and amp-electronics! 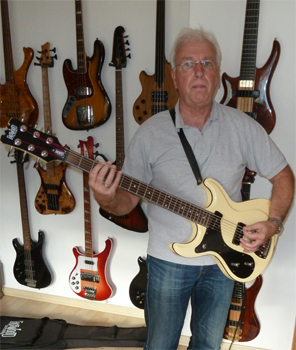 with his new Eastwood Sidejack Bass IV. Wow! 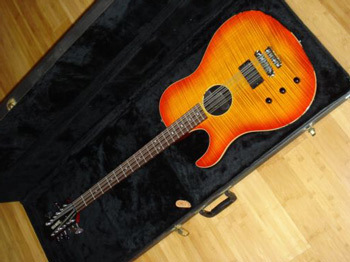 A good sounding and real intresting bass. Please check out this YouTube video for details! First of all congratulations on keeping up that website that we all know and use around the world. I'm writing you because my bass was stolen , and it might some day end up on leftybass? 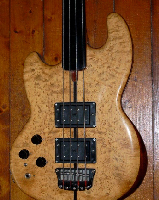 It it a Musicman stingray 5 strings oiled natural finish (i removed the vernish myself) with a custon metal control plate just over the electronic. Please let me know if you get a sale request that looks like that one? vielen Dank für Dein Engagement! Mein Bass ist verkauft und kann so markiert werden. 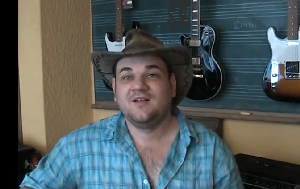 Ich habe dem verstorbenen Erbauer meines Wal-Basses Pete"the fish" Stevens ein Lied gewidmet, das auf youtube steht. Vielleicht wäre es ihm zu Ehren angemessen, es auf deiner Seite zu zeigen? 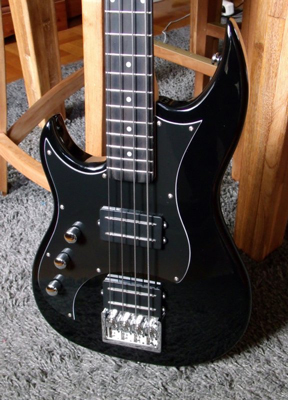 Ich wünschte, es gäbe auch für lefty-Gitarren ein so gutes Forum! have a Merry Christmas and a Happy New Yaer! Afrikaans - Geseknde Kersfees en 'n gelukkige nuwe jaar, Bohemian - Vesele Vanoce, Brazilien - Boas Festas e Feliz Ano Novo, Bulgarien - Vesela Koleda i chestita nova godina!, Catalan - Bon Nadal i un Bon Any Nou!, Chinese - Sing Dan Fae Lok. Gung Hai Fat Choi (Cantonese), Chinese - Shen Dan Kuai Le Xin Nian Yu Kuai (Mandarin), Chinese - Shen tan jie kuai le. Hsin Nien Kuaile, Croatian - Sretan Bozic, Czech - Stastne a vesele vanoce a stastny novy rok! Dänisch - Glaedelig Jul og godt nytaar, Dutch - Vrolijk Kerstfeest en een Gelukkig Nieuw Jaar, Dutch - Prettige kerstdagen en een gelukkig nieuw jaar, English - Merry Christmas and a Happy New Year!, Eskimo - (inupik) Jutdlime, pivdluarit ukiortame pivdluaritlo!, Esperanto - Felican Kristnaskon kaj Bonan Novjaron!, Estonian - Rõõmusaid jõulupühi ja head uut aastat!, Faeroese - Gledhilig jol og eydnurikt nyggjar!, Filipinos - Maligayang Pasko, Finnish - Hyvää joulua ja onnellista uutta vuotta!, Flemish - Zalig Kerstfeest en Gelukkig nieuw jaar, French - Joyeux Noel et Bonne Année!, Scots Gaelic - Nollaig chridheil agus Bliadhna mhath yr!, Galician - Bo Nadal, German - Frohe Weihnachten und ein glückliches Neues Jahr!, Greek - Hronia polla kai eytyhismenos o kainourios hronos, Greek - Hronia polla ke eftihismenos o kenourios hronos, Hausa - Barka da Kirsimatikuma Barka da Sabuwar Shekara!, Hawaian - Mele Kalikimaka ame Hauoli Makahiki Hou!, Hungarian - Kellemes karacsonyi uennepeket es boldog ujevet!, Icelandic - Gledhileg jsl og farsflt komandi ar!, Indonesian - Selamat Hari Natal dan Selamat Tahun Baru!, Iraqi - Idah Saidan Wa Sanah Jadidah, Irish Gaelic - Nollaig Shona duit, Irish Gaelic - Nollaig Shona, Irish Gaelic - Nollaig faoi shean agus faoi shonas duit agus bliain nua faoi mhaise dhuit!, Italian - Buon Natale e Felice Anno Nuovo!, Japanese - Meri Kurisumasu soshite Akemashite Omedeto!, Latin - Natale hilare et Annum Faustum!, Latvian - Priecigus Ziemsvetkus un Laimigu Jaungadu!, Lithuanian - Linksmu Kaledu, Maltese - Nixtieklek Milied tajjeb u is-sena t-tabja!, Modern Greek - Kala Christougenna kai evtichismenos o kainourios chronos!, Norwegian - God Jul Og Godt Nytt Aar, Pennsylvania German - En frehlicher Grischtdaag un en hallich Nei Yaahr!, Polish - Vesowe Boze Narodzenie, Polish - Wesolych Swiat i Szczesliwego Nowego Roku, Portuguese - Boas Festas, Portuguese - Feliz Natal e um Prospero Ano Novo, Romanian - Craciun fericit si un an nou fericit, Russian - S nastupaiushchim Novym godom i s Rozhdestvom Khristovym!, Romanche - (sursilvan dialect): Legreivlas fiastas da Nadal e bien niev onn!, Serbian - Hristos se rodi, Slovakian - Sretan Bozic or Vesele vianoce, Slovak - Vesele Vianoce i na zdravie v novom roku!, Slovenian - Vesele bozicne praznike in srecno novo leto, Spanish - Feliz Navidad y Próspero Año Nuevo, Swedish - God Jul Och Ett Gott Nytt Ar, Thai - Suk san wan Christmas, Thai - Suk san wan pee mai - Happy New Year, Trukeese - (Micronesian) Neekiriisimas annim oo iyer seefe feyiyeech!, Turkish - Noeliniz kutlu olsun ve yeni yilinis kutlu olsun!, Turkish - Noeliniz Ve Yeni Yiliniz Kutlu Olsun, Ukrainian - Srozhdestvom Kristovym, Ukrainan - Z novym rokom i s rizdvom Hrystovym!, Ukrainan - Khrystos Rodevsia, Vietnamese - Chuc mung nam moi va Giang Sinh vui ve, Welsh - Nadolig Llawen a Blwyddyn Newydd Da! ", Yoruba - E ku odun, e ku iye'dun! I just wanted to sincerely thank you for posting my email on your site, it has been a great help and has put me in contact with some fantastic upside-down players! I'll be sure to send you a pdf of the dissertation when it is completed! maybe you are able to help AJ! 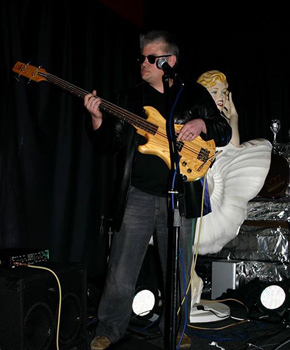 My name is AJ, I am a left-handed upside-down bassist studying at the University of Otago, and am writing a dissertation on left-handed bassists who also play upside-down (like Jimmy Haslip or Jerry Casale). 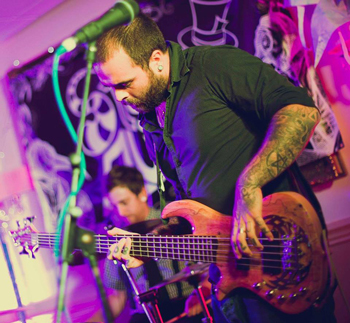 I found you through you website http://www.leftybass.com and was hoping you could assist me with tracking some bassists down to interview? If you know of any left-handed upside-down you could put me in contact with or point me towards I would be extremely grateful! 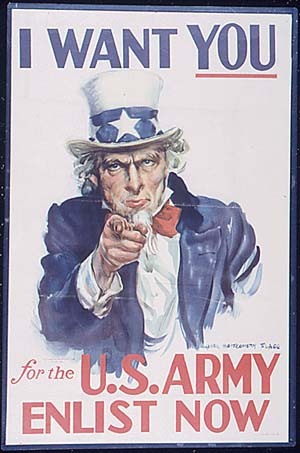 Or if you have some insight into the topic I would love to have a short 20min skype interview with you. 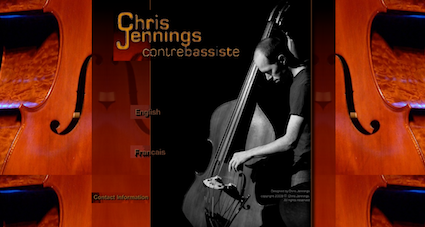 My name is Chris Jennings and I am a left-handed Canadian double bassist based in Paris since 2002. I will be doing a concert at the Pizza Express Jazz club in London early September and I am looking to borrow a LEFT-HANDED double bass. Thank you very much for any insight and help you might have! 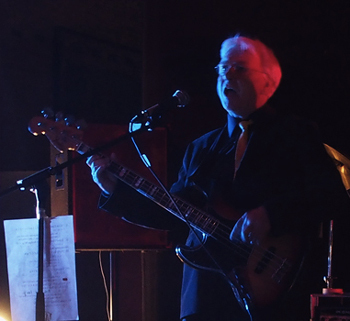 Here is a link to my video where I also talk about my left handed bass. Perhaps it will interest you, and you like to link it to your site? 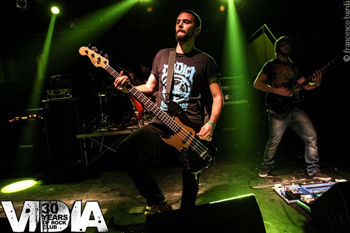 we all can imagine that of having to carrya double bass anywhere. Especially at concerts with more arriving this is problem. I´m shure we can help Chris for the concert in London! 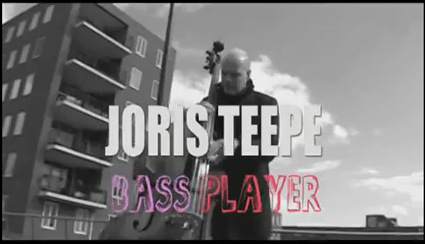 Joris Teepe has provided a very interesting video and it offers us insights into his musical life. A new friend and two updates are we apologize. and Leonid Rubinstein (Germany), Øivind Ruddy Petersen (Denmark) for updates. this update contains two reports from users of our community. I´m glad for this help! Thanks! And two updates: Sam Manise / Belgium and Bob Battersby / UK. 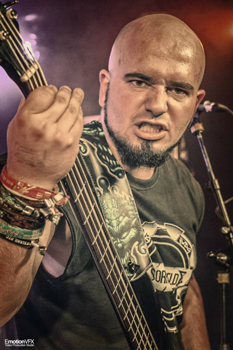 I would like to mention, that Leonid Rubinstein is bassplayer in the band "Carving". 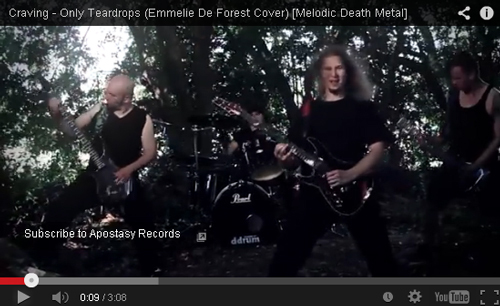 In his band, there are 3 lefties on the strings!!! 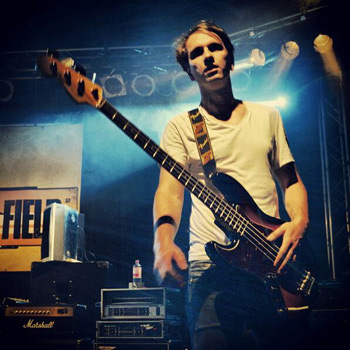 mein tip für linkshänder bassisten und bassistinnen. instrumente bauten,stellt hagstrom mit der wiederauflage ihrer instrumente erneut unter beweis. die produktion von hagstrom instrumenten wurde 1982 in schweden eingestellt. auf den ersten blick wirkt der fxb 220l weniger elegant.mächtig kommt er rüber. das design hat aber total was.eigencharakter und das gewisse etwas. verwunderung... hier scheppert,knarzt,wackelt und schnarrt rein gar nichts.in dieser preisklasse !? die fräsungen und bohrungen sind perfekt.jede schraube sitzt ohne makel.die verarbeitung ist tadellos. ich habe thomasik flats aufgezogen.die persönliche,individuelle einstellung verlief absolut problemlos. der hals aus kanadischem ahorn ist erstaunlich gut bespielbar und bei einer saitenlage von knapp 2,5 mm am 7.bund spielt er sich absolut schnarrfrei. 3 potis sind auf dem korpus präsent. höhenblende,ein 6 wege stellrad und der lautstärkeregler. 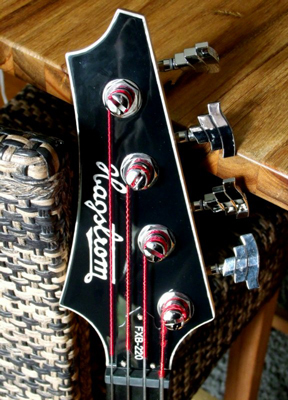 mit dem 6 wegestellrag lassen sich die beiden humbucker als humbucker spielen und als singlecoils splitten. 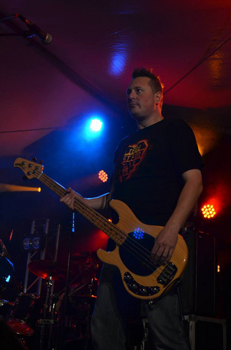 der sound des basses ist eigenständig,druckvoll und für alle musikrichtungen geeignet. 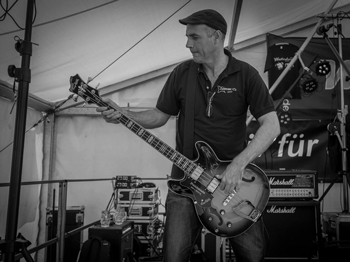 ein profibassist und ich haben den hagstrom fxb 220l an kustom-,markbass-und ampeg bassanlagen gespielt. uns fehlten vor grinsen die worte. mehr infos findet man über die website von hagstrom. 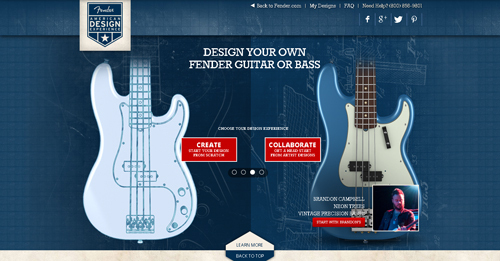 Fender American Design Experience: also for lefties! some good news for us lefties, but unfortunately not outside the US for the time being... Let's hope they will ship orders abroad soon. Thank you very much Oliver Hinderle and Frits Jochems! I know, long time no update. I´m sorry for that. But know, in front of Christmas, I will send you some news. I like remember you the the "LeftyBassForum", and its moderator Chris van Meer. We, Chris and I, will be happy when you join this forum and let us know trhe latest news. Here you will find some impressions of the 5. Lefty Bass Day in September. 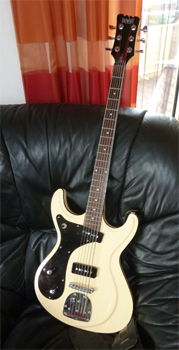 A very rarer Hamer B12A (12-Saiter Akustik) bass was offered on Ebay / USA in December 2013. I wish a Merry Chrismtas to you and yours!